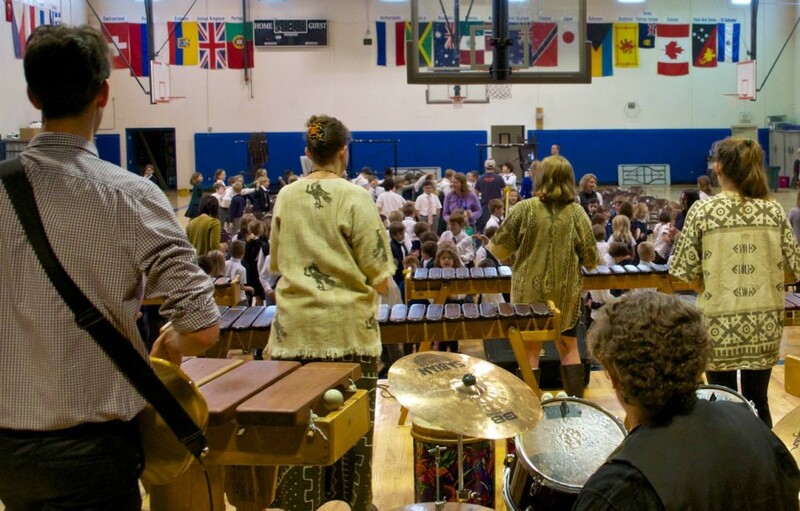 Our school-based program introduces school children to an important genre of world music, while focusing on group music skills and community music-making. 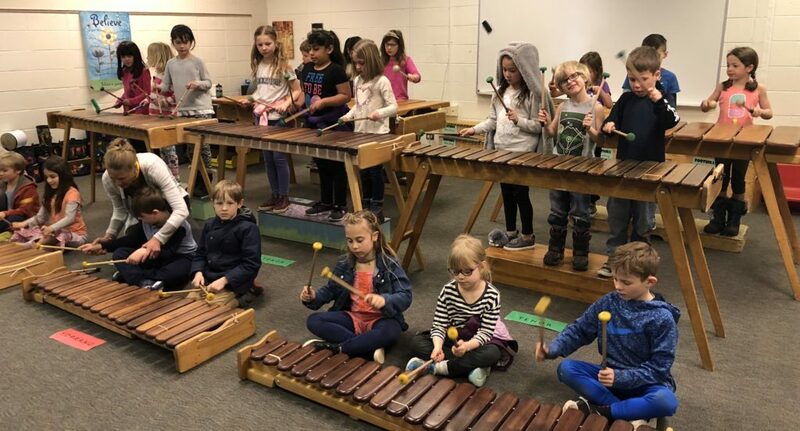 In 2001, our directors helped Boulder Valley School District (BVSD) write several grants to purchase a set of marimbas and start a school-based marimba program. Classes are still active at New Vista High School and Horizons K-8 in Boulder. We have a traveling set of marimbas and mbira that can be made available for your program, made possible by the generosity of our 2016 Moon & Stars Fundraiser donors. 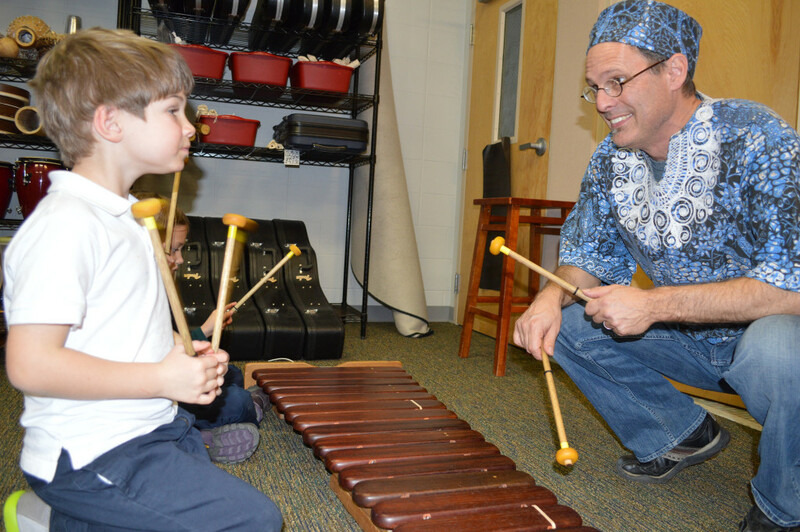 Aaron Edrington, BVSD Foothill Elementary School music teacher, says it best in this short 2:00-minute video about his experience of having Kutandara’s Zimbabwean music program in his classroom. A school-wide assembly is an excellent opportunity to introduce your students to the music and culture of Zimbabwe. We can provide educational, interactive, 45-60 minute presentations for K-8 students. Presentations include an introduction to Zimbabwean instruments, songs, and culture; a history of Zimbabwean-style marimba music; and many examples of traditional and contemporary songs. We are available to bring our instruments right into your classroom! In this intimate setting, we introduce the music and culture of Zimbabwe to your students with ample opportunity for questions, demonstrations, and hands-on learning. 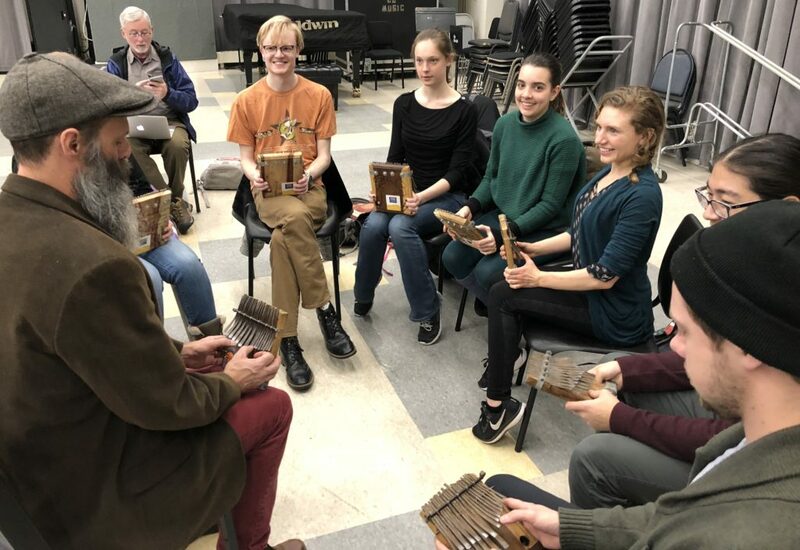 Presentations can be 30-90 minutes and include an introduction to Zimbabwean instruments, songs, and culture; the history of Zimbabwean-style marimba music; and many examples of traditional and contemporary songs. Workshops allow a smaller group of students (8-15 in each workshop group) to work more closely with our staff. 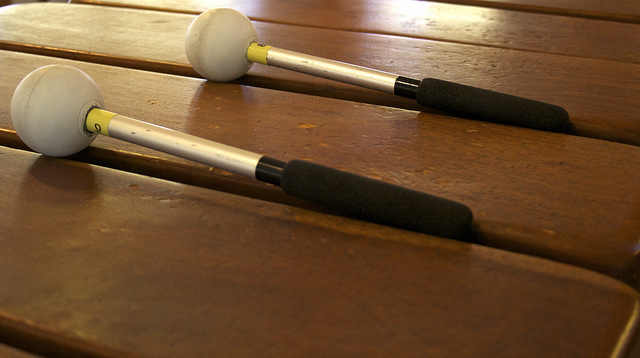 In music workshops, students experience an introduction to marimbas including proper playing technique and ensemble skills. Working together with the Music teacher, we place special emphasis on learning music aurally (without the use of written music). By the completion of the workshop, each workshop group will have learned a marimba piece. In songs & games workshops, students sing, run, jump, and play…just like children in Zimbabwe do! Working together with the PE teacher, we place special emphasis and physicality and athleticism. By the completion of the workshop, each workshop group will have played several active, Zimbabwean children’s games and compared them to their western counterparts. In culture & craft workshops, students learn simple Zimbabwean greetings and experiment with materials and crafting techniques found in southern Africa. Working together with the Art teacher, we place special emphasis on recycled materials. By the completion of the workshop, students will have mastered simple greetings and have a completed African craft to take home. Contact us for available dates and rates! We will email you a proposal.